Chatham Orthopaedic Associates’ very own Evan Siegall, M.D. 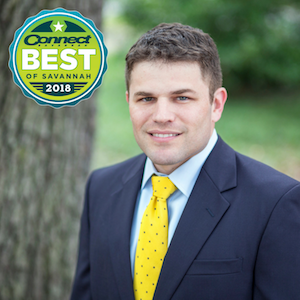 was named Best Orthopaedist in Connect Savannah’s Best of Savannah 2018 Issue, and John Prather, M.D. was named runner-up. Each year, Connect Savannah asks its readers to vote for extraordinary people, businesses, and places in Savannah that go above and beyond in the community. The results are then published in the “Best of Savannah” issue of Connect Savannah. To view the full list of winners, click here. Dr. Siegall of Chatham Orthopaedics specializes in Pediatric Orthopaedics and Scoliosis. He not only treats common orthopaedic issues like broken bones and ACL tears, but also sees a number of younger patients with cerebral palsy, spina bifida, scoliosis, and more. Dr. Prather practices General Orthopaedics with a focus on foot and ankle surgery and has specific interest in areas including trauma, sports injuries, and total ankle replacement. Chatham Orthopaedics would like to congratulate both Dr. Siegall and Dr. Prather for their much-deserved recognition from the community.